Does anyone have a picture of Queen Metallia, or know where one can be found? 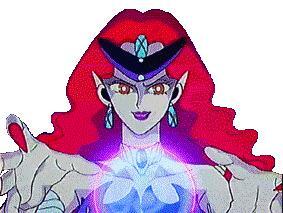 ordered Queen Beryl and the Generals to destroy the Moon Kingdom and its rulers. When Metallia and Beryl are reawakened and released from their prison (Queen Serenity sealed them away) on Earth, in the present time, Metallia orders Beryl to bring vast amounts of energy to restore her great strength. Then, she ordered Beryl to bring her the Imperium Silver Crystal. Metallia wants the crystal to give her more power as well as prevent Princess Serenity from resealing her away with it. During the Silver Millennium, Queen Metallia ordered Queen Beryl and her Generals to destroy the Moon Kingdom. After being awaked, in the present, Beryl is ordered to bring Metallia vast amounts of energy to restore her once great strength. Beryl is ordered to bring her the Imperium Silver Crystal. After killing the other sailor scouts, Beryl battled Princess Serenity. During the battle, Metallia gave Beryl extra dark energy to became Super Beryl (a larger version of Queen Beryl with blue hair and her body emerging from a giant lotus). Using the Imperium Silver Crystal, Princess Serenity envelopes Super Beryl in it's bright power, thereby killing her. 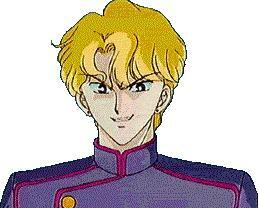 Jadeite is the first general that collects energy. He was the only one that used youma that had the ability to change their appearance. They are able to match that of their victims and look human in order to collect more energy. As the host of the Midnight Zero radio show, he went by J Daito. His efforts displease Beryl and she puts him into Eternal Sleep. victim in a coma. 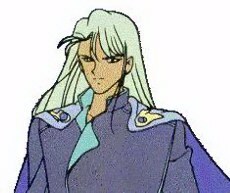 He was the first to use the Black Crystal to try to locate the Imperium Silver Crystal. He was very strong. On Earth he posed as a big time millionaire and business man Maxfield Stanton. As Maxfield, he fell in love with Molly. After Zoisite found out, she used Molly to lure Nephlyte into a trap. He is murdered by Zoisite. 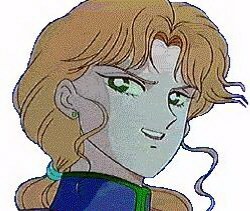 Zoisite was the third general to go up against the Sailor Scouts. She was evil and back stabbing. She murdered her predecessor, Nephlyte, to gain his position and Queen Beryl's favor. Her mission was to gather the seven Rainbow crystals which were scattered throughout the world and embedded in unsuspecting humans. She used Nephlyte's Dark Crystal to activate the rainbow crystal in her victims. This turned the humans into Negaverse servants, the only cure being Sailor Moon's "Moon Healing Activation," with the Crescent Moon Wand. Zoisite is killed by Queen Beryl for constantly failing in her mission. Malachite was the strongest general. He was very shrewd and cunning. Unfortunately for the Scouts he had the power to back up his plans. He had an extreme hatred for Sailor Moon. 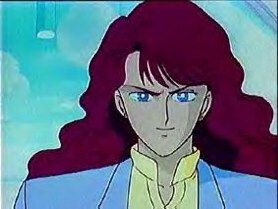 He wasn't too crazy about Tuxedo Mask, especially when Queen Beryl began favoring him over Malachite. He, along with Zoisite, plotted against Nephlyte. He was in love with Zoisite and was extremely upset with Beryl for killing her. It is possible that Malachite would have succeeded in defeating the scouts if it weren't for the brainwashed Tuxedo Mask stepping in and saving Sailor Moon when she needed it.